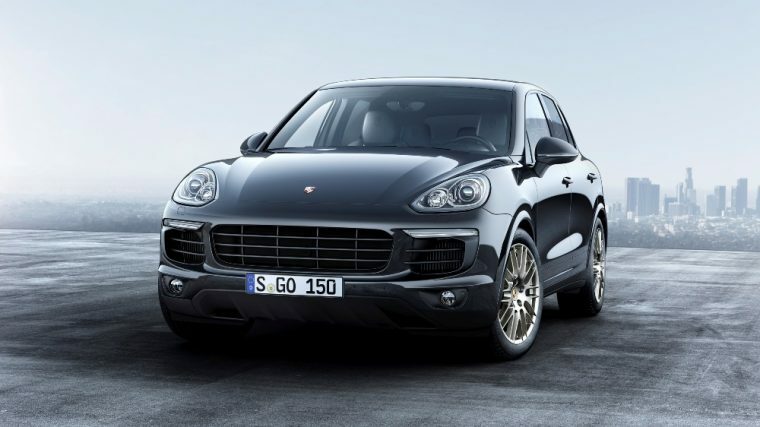 With so many well-known vehicles in its lineup like the iconic 911 sports car, Panamera sedan, and Boxster convertible, it might come as a surprise that Porsche’s best-selling vehicle is actually the Cayenne midsize SUV. The 2017 Cayenne offers consumers the choice of six unique powertrains, each of which provides varying levels of performance and efficiency. In addition, the new Porsche Cayenne features exceptional handling abilities that make it a standout vehicle in the midsize SUV segment. Competitors includes the BMW X5, Land Rover Range Rover Sport, and Mercedes-Benz GLE. What’s New for the 2017 Porsche Cayenne? Two new limited edition models have been added to the Cayenne lineup for the 2017 model year. These models are the Cayenne Platinum Edition and the Cayenne S E-Hybrid Platinum Edition, which both add unique features such as high-gloss black exterior trim, 20-inch RS Spyder alloy wheels, and extended fender arches. 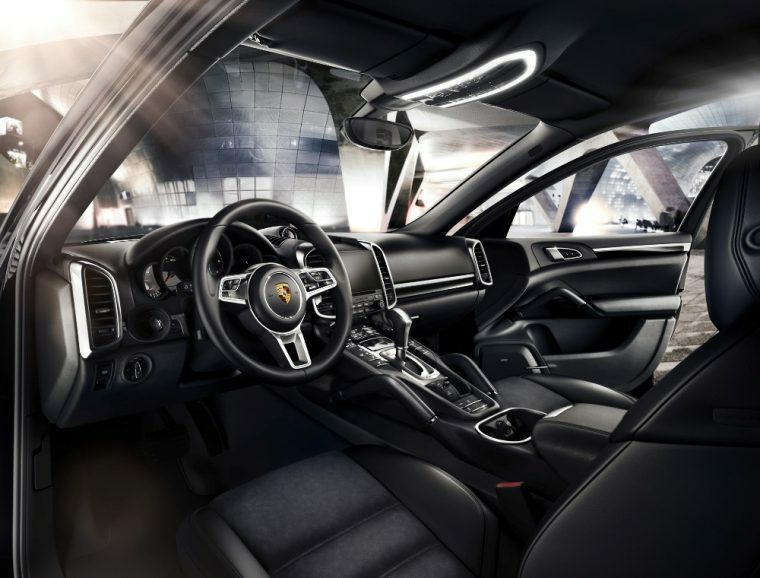 Furthermore, a new version of the Porsche Communication Management (PCM) infotainment system now comes standard on every model, while the diesel engine is no longer available. 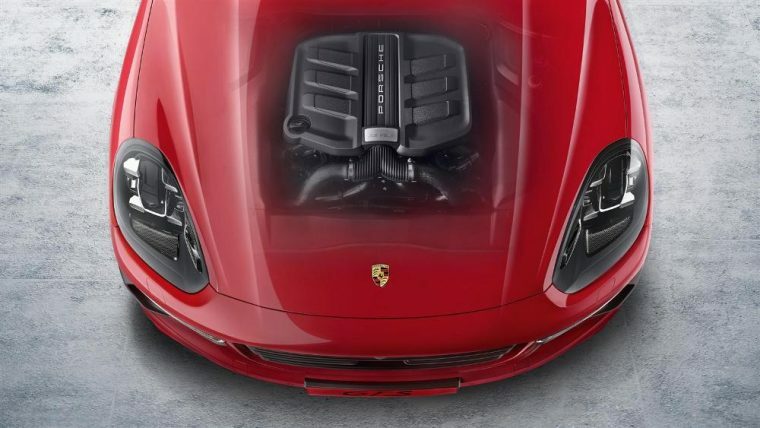 By taking just one look at the muscular appearance and unique headlights featured in the curved hood of this SUV, you can tell it’s a Porsche vehicle before you’ve even seen its badge. The 2017 Porsche Cayenne comes standard with notable features such as LED taillights, 18-inch alloy wheels, and rear privacy glass, but Porsche allows customers to purchase much of its upgraded equipment typically found on higher-level trims as stand-alone options. 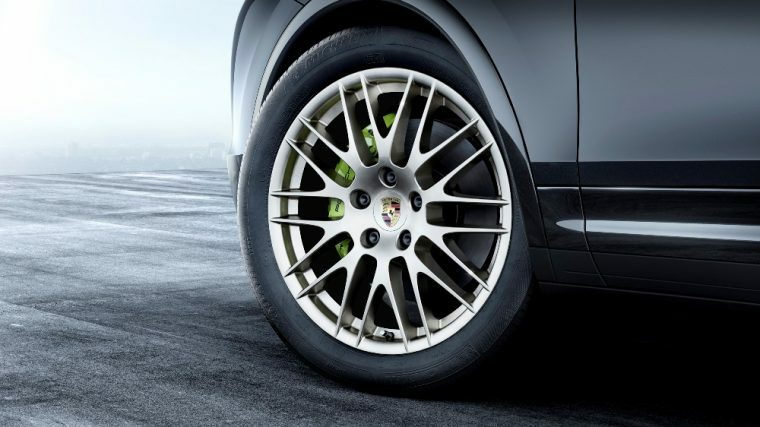 For example, on the Cayenne alone, Porsche offers the choice of 12 unique wheel designs, as well as the option to upgrade to leather or suede upholstery. Exterior color options include Carmine Red, Sapphire Blue Metallic, and Carrara White Metallic. Like most Porsches, there is no shortage of powertrain options for the Cayenne SUV. The base Cayenne comes equipped with a 300-horsepower V6 engine, but consumers who are willing to dish out a bit more cash for the Cayenne S will be rewarded with a turbocharged V6 motor that’s good for 420 horsepower and 406 lb-ft of torque. However, for those buyers who are more concerned about their impact on the environment, there’s the Cayenne S E-Hybrid that utilizes both a gasoline-powered supercharged V6 engine along with an additional electric motor, which combine to create 416 horsepower and 435 lb-ft of torque. But, for the most power possible, the top-level 2017 Porsche Cayenne Turbo S packs a 4.8-liter twin-turbo V8 engine rated 570 horsepower and 590 lb-ft of torque. 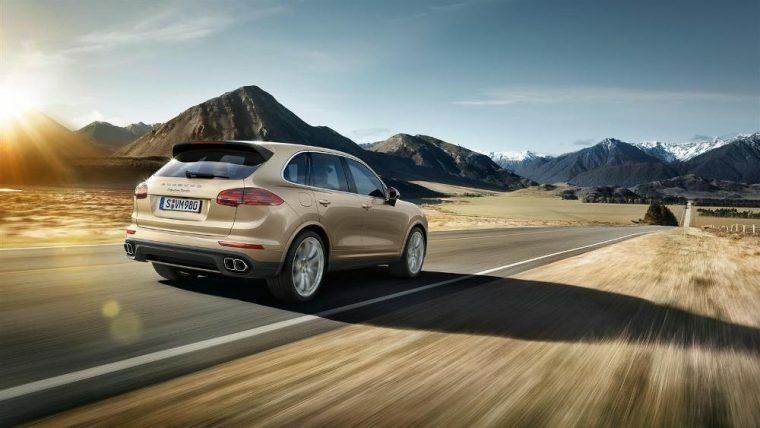 That potent engine allows the Cayenne S to rocket from 0-to-60 mph in just 3.8 seconds and hit a top speed of 176 mph. The efficiency of the 2017 Porsche Cayenne varies greatly depending on which trim the buyer decides upon. 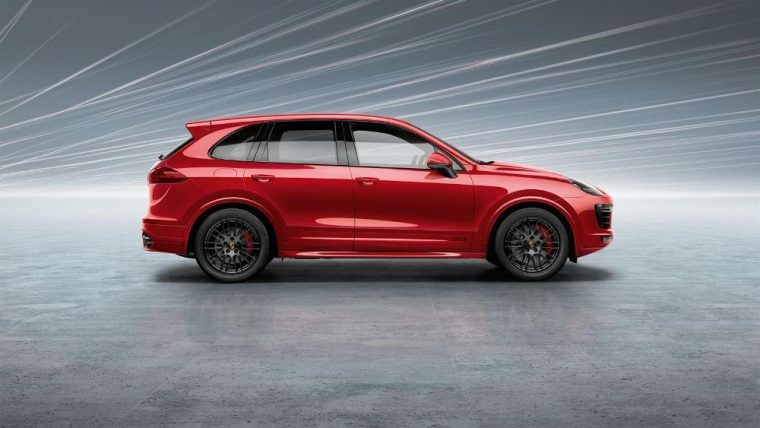 The entry-level Cayenne equipped with the 3.6-liter V6 engine provides EPA-estimated fuel efficiency of 18 mpg in the city and 24 mpg on the highway. Those efficiency ratings dip to 14 mpg in the city and 21 mpg on the highway for both Cayenne Turbo models. However, for an excellent combination of power and efficiency, buyers should consider the Cayenne S E-Hybrid, which can travel 14 miles using only electric power and offers EPA-estimated efficiency of 47 MPGe, while still providing a hybrid powertrain that delivers 416 horsepower. The 2017 Porsche Cayenne provides a spacious and well-appointed interior that can be customized as far as your checking account will allow. Standard equipment includes a 10-speaker audio system, dual-zone climate control, partial leather upholstery, and an updated version of the PCM 4.0 touchscreen infotainment system, which now features voice activation capabilities, as well as navigation technology. For those consumers hauling large amounts of cargo, there’s 23.6 cubic feet of storage space behind the rear seats, but that number grows to more than 60 cubic feet with the rear seats folded down. Other notable equipment available with the new Porsche Cayenne includes heated front and rear seats, an electric moonroof, and a heated multifunction steering wheel. Because the Porsche Cayenne SUV is only produced in limited quantities, it has yet to undergo crash tests for either the National Highway Traffic Safety (NHTSA) or the Insurance Institute for Highway Safety (IIHS). Besides coming equipped with multiple airbags and antilock brakes, the 2017 Porsche Cayenne also comes standard with Porsche Stability Management (PSM). This advanced safety tech can help to even out the SUV if hazardous road conditions cause it to lose control. In addition, the Porsche Cayenne is also available with other advanced safety features like a rearview camera, adaptive cruise control, and lane departure warning.